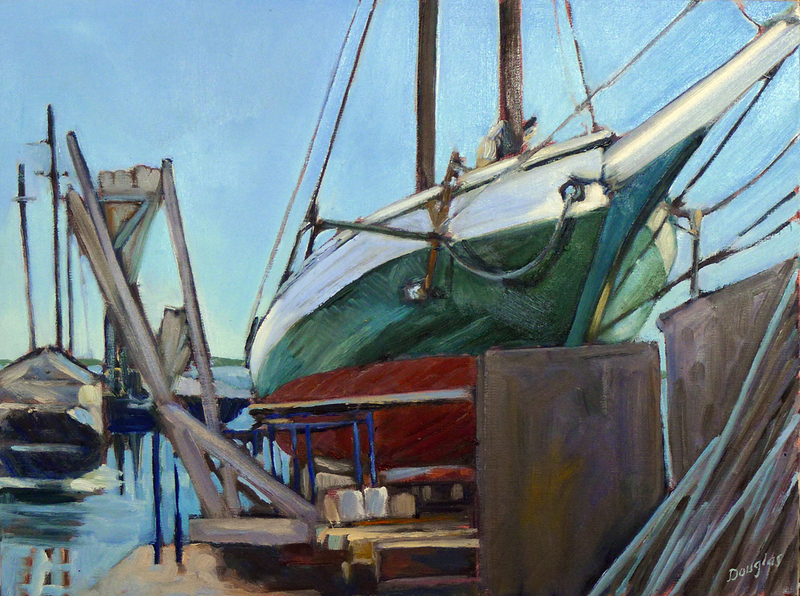 "American Eagle in Dry Dock," plein air, 12X16, oil on canvasboard, available. 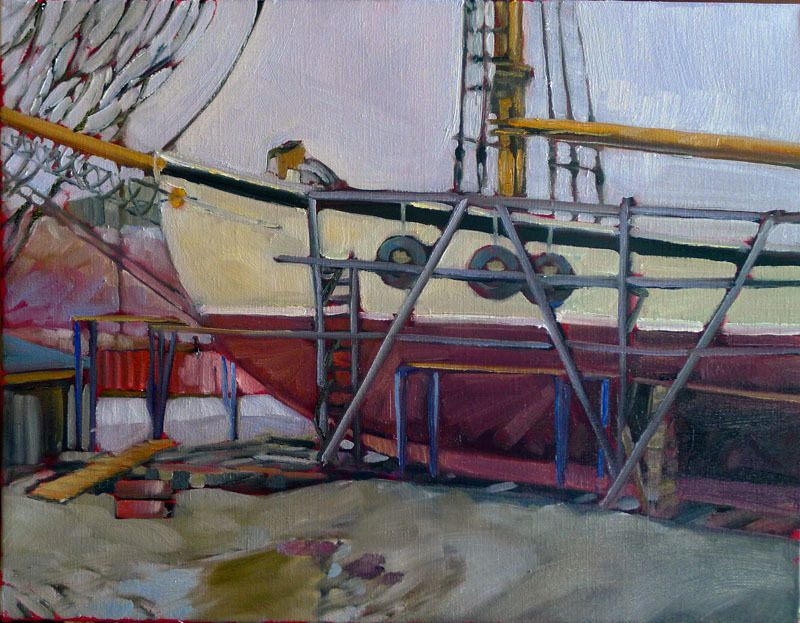 "Big Boned," schooner Heritage in drydock, plein air, 12X16, oil on canvasboard. 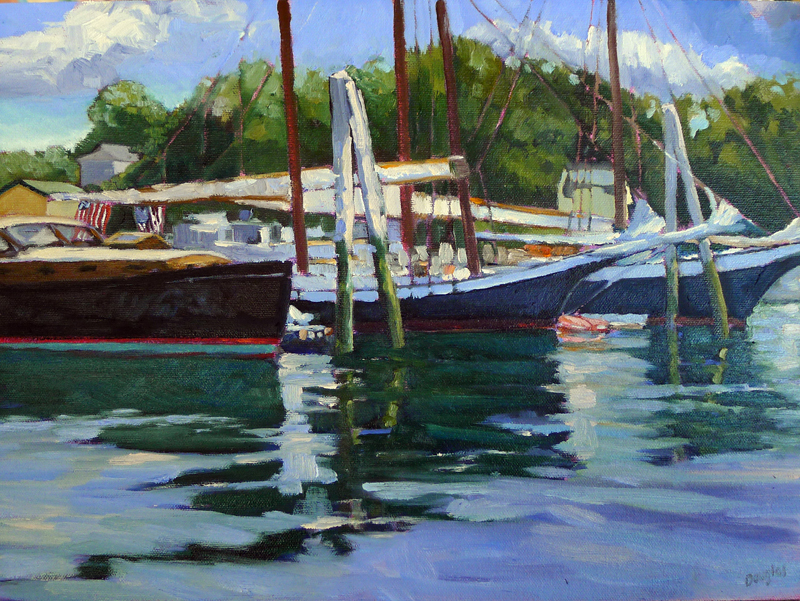 "More work than they bargained for," plein air, 12X16, oil on canvasboard, available. 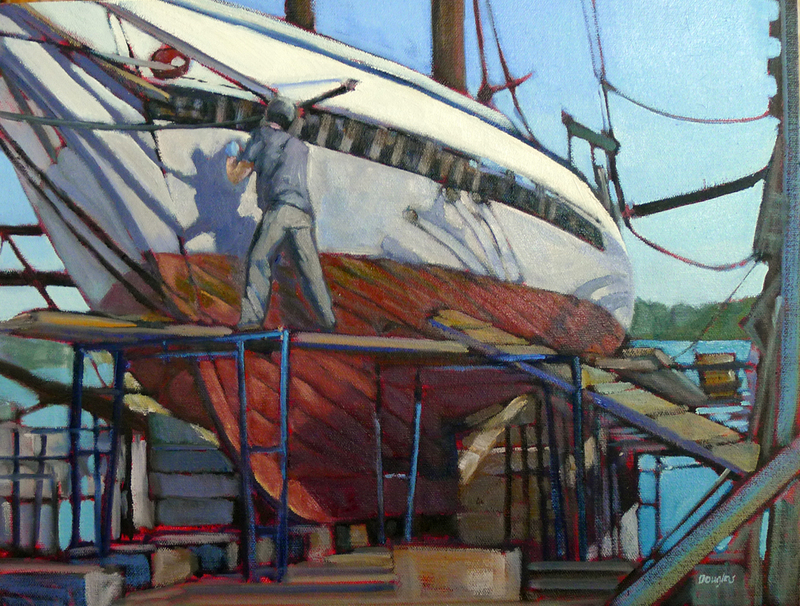 "Steaming planks," plein air, oil on canvasboard, available. 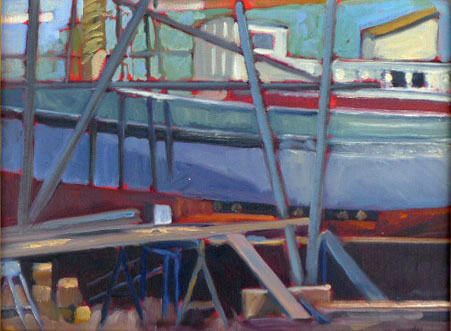 "Steven Tabor in drydock," plein air, oil on canvasboard, available. 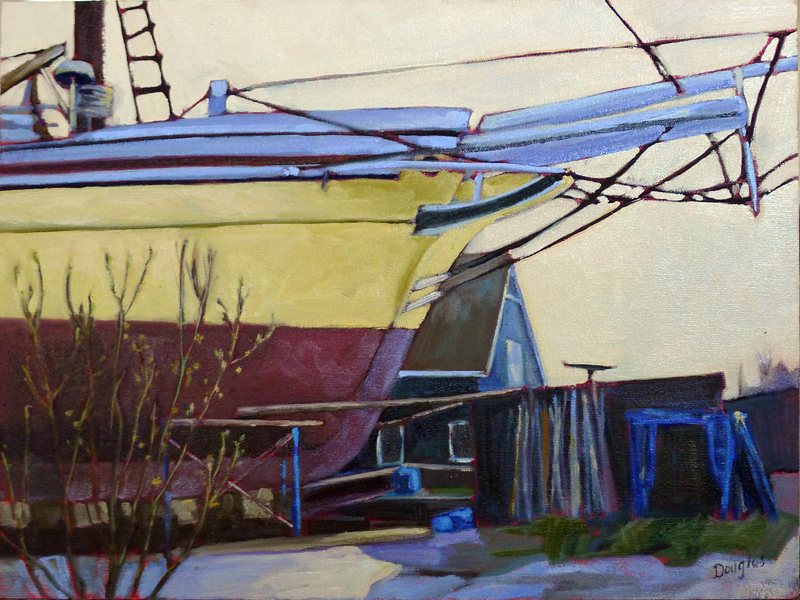 "Thaw," plein air, oil on canvasboard, available. 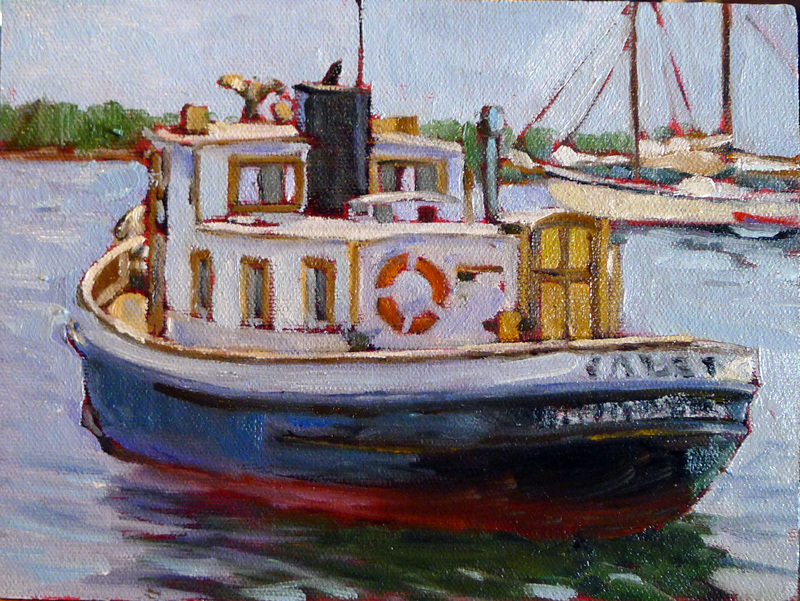 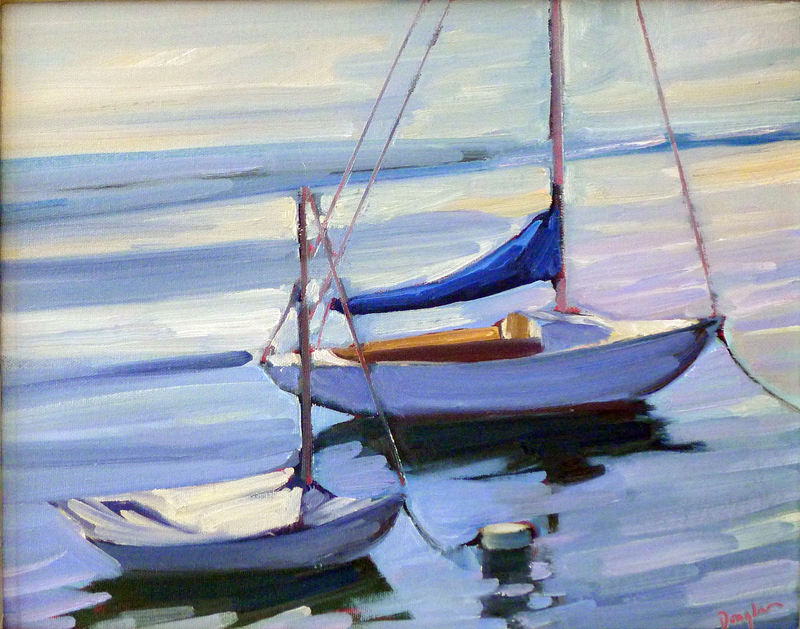 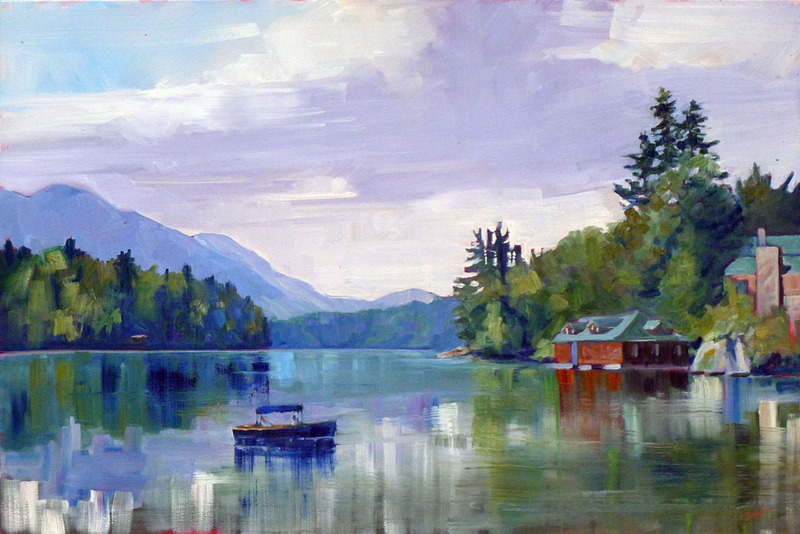 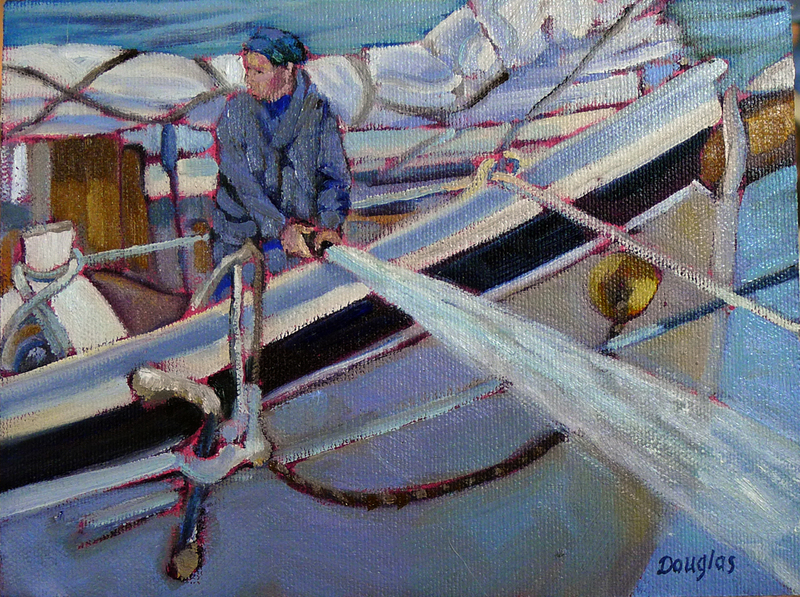 "Coast Guard Inspection," plein air, oil on canvasboard. 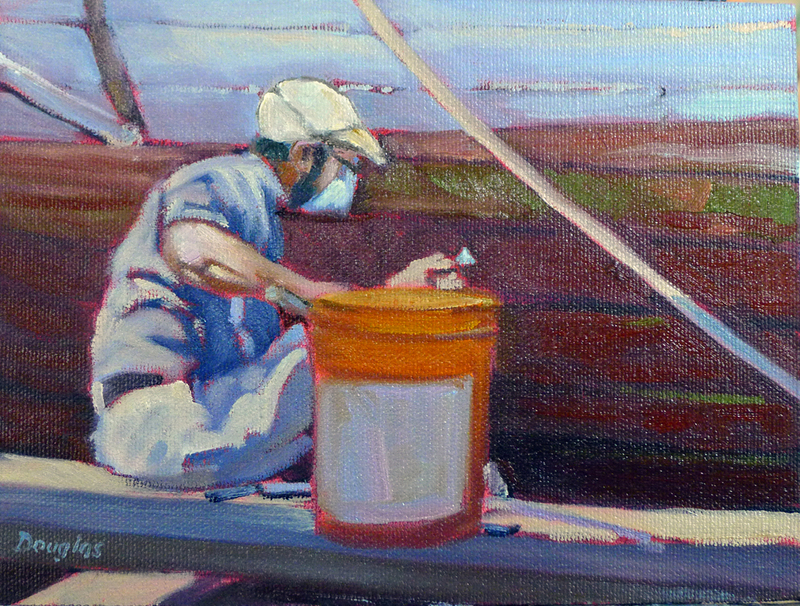 "Packing oakum", 6X8, plein air, oil on canvas, available. 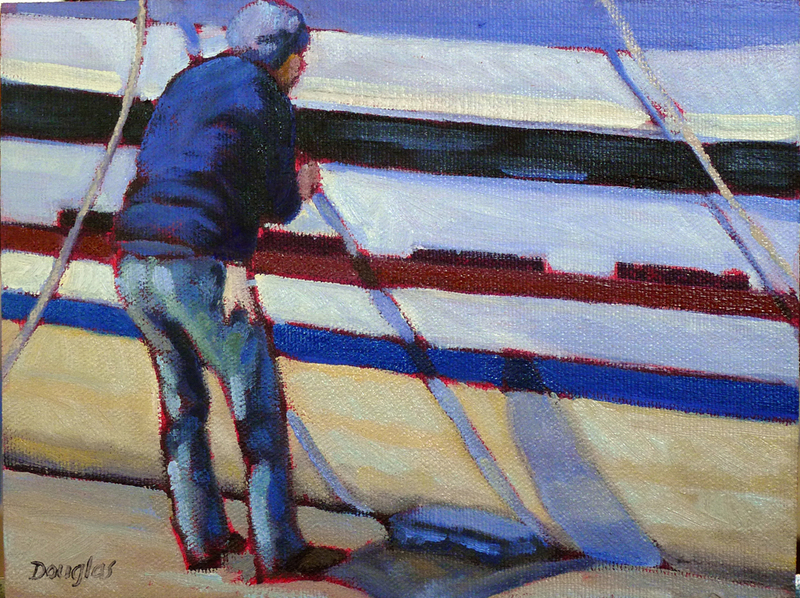 "Setting blocks," 8X6, plein air, oil on canvasboard, available. 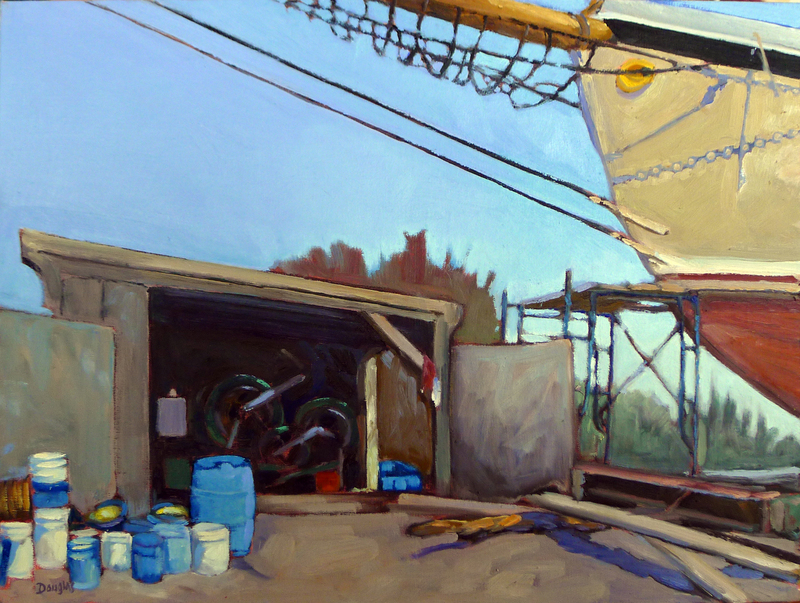 "Electric Glide," plein air, 24X36, oil on canvas. 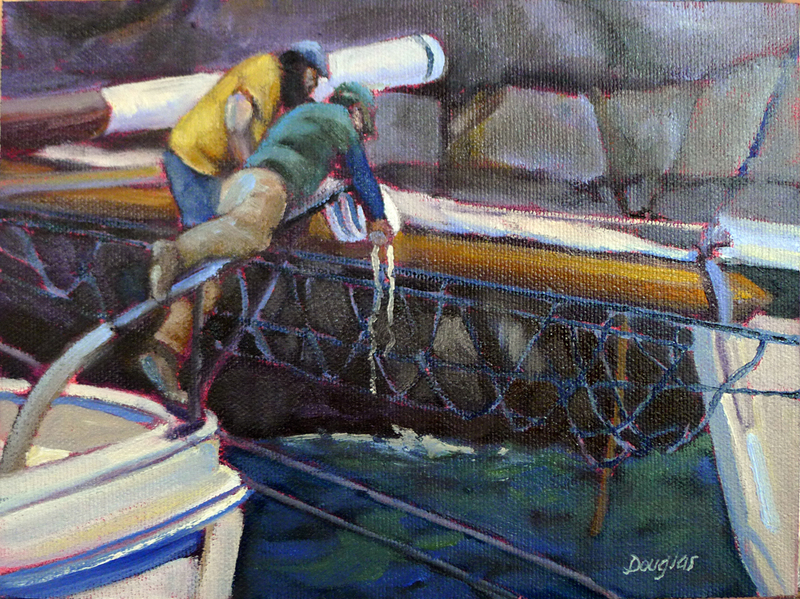 "Three Graces," oil on canvasboard, available. 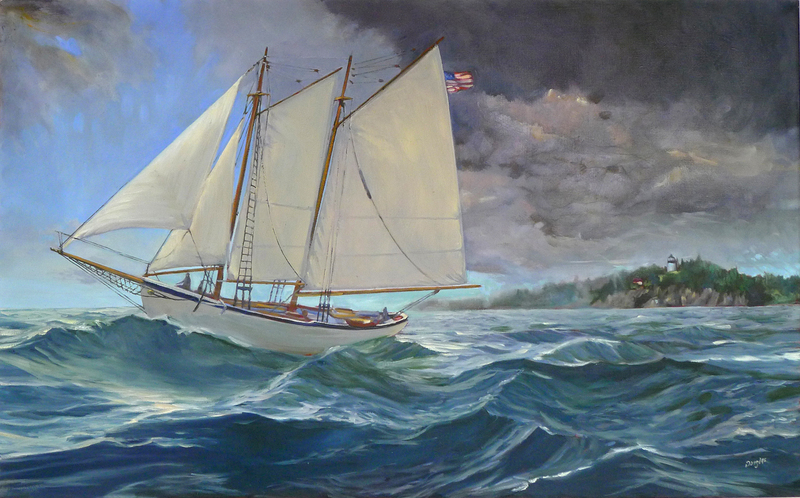 "Tricky Mary in a pea-soup fog," plein air, oil on canvas, available. 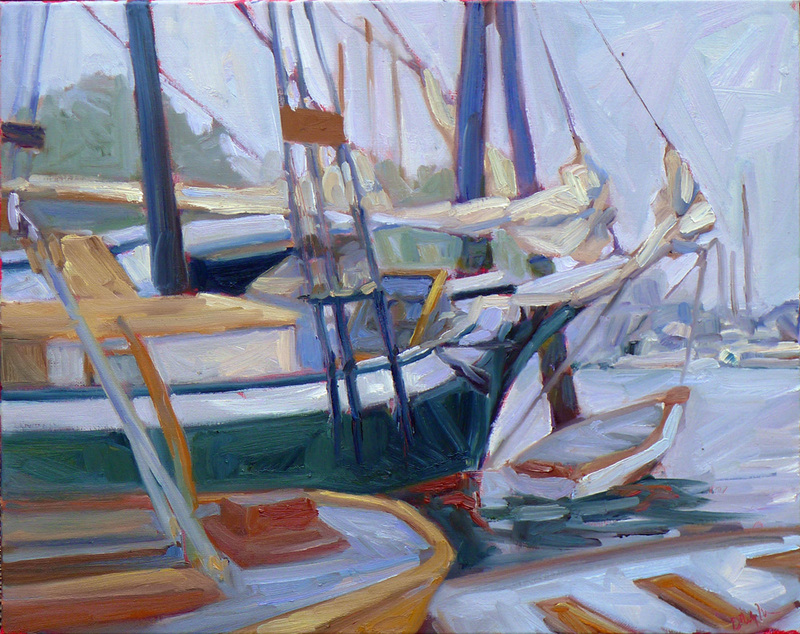 "Lobster fleet at Rockport harbor," plein air, 12X9, oil on canvasboard, available. 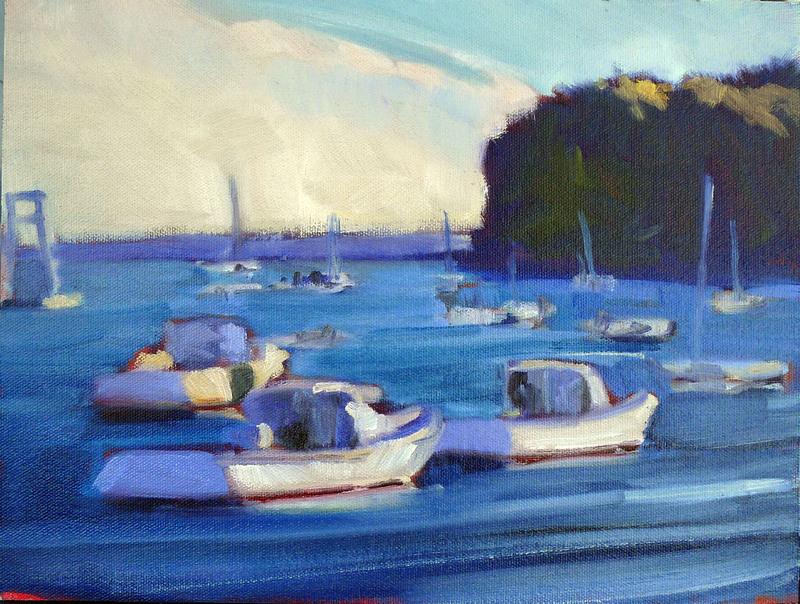 "Flood tide," plein air, oil on canvasboard.